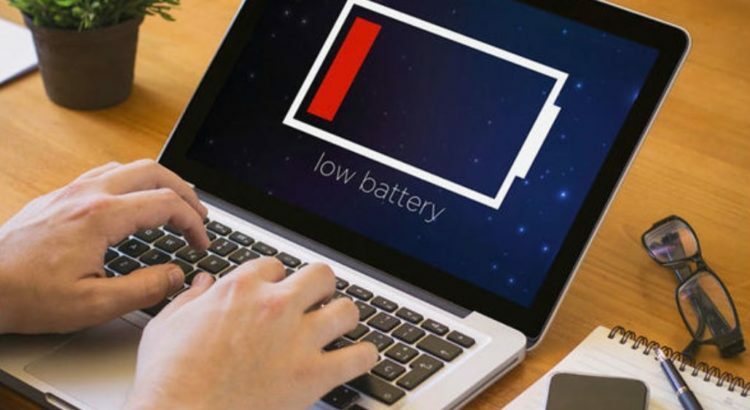 Lowering the volume, softening the brightness of your monitor, and unplugging peripherals are some standard and quick techniques to save the battery life of your computer. Apart from these, there are other tricks you can apply that will give you some additional time before you feel the need an outlet to plugin. 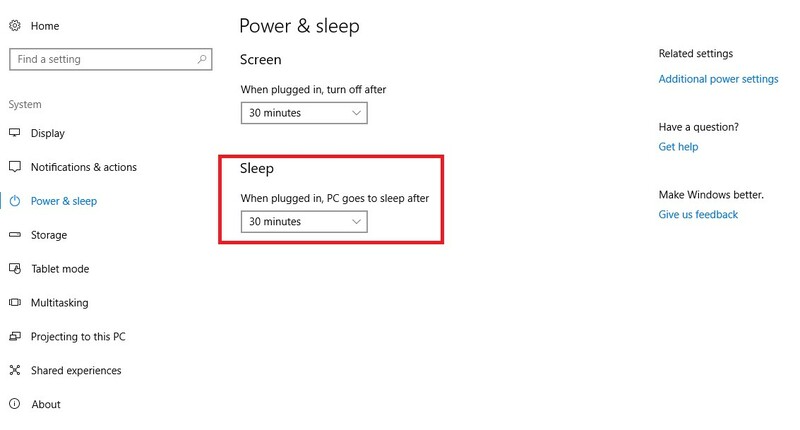 Windows 10 has a built-in battery saver that adds a few more minutes to your battery. 1. Go to “Action Center” button in the bottom-right corner of the screen. Note: Repeat the same steps to disable the battery saver mode. 1. Right-click the “Start” button. 5. Drag the slider in the “Battery Saver” section to manage how soon battery saver turns on. 6. Click the toggle button beneath “Battery saver status until next charge” to turn battery saver on until you plug-in your laptop. 7. Select the checkbox next to “Lower screen brightness while in battery saver” to toggle the screen brightness when battery saver is enabled. 3. Click “Power & sleep”. 4. Go to “Screen” section’s dropdown menu and select a time option. 5. Now, scroll down to “Sleep” option and choose the time. 6. Scroll down to the “Network Connection” section and select “Always”. 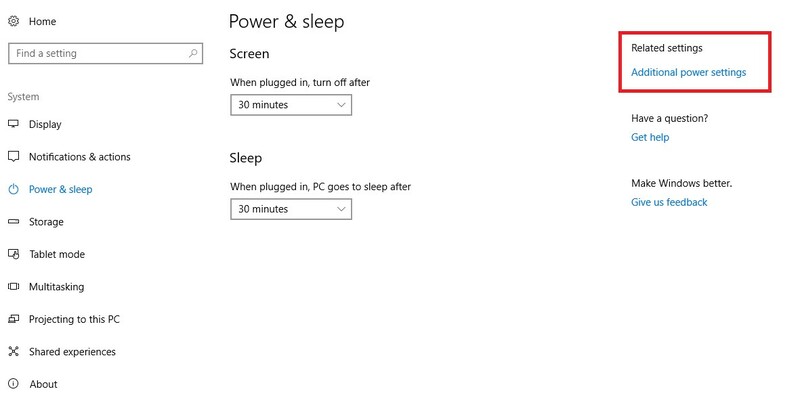 There are various power plans in Windows 10 to choose from, consisting one that saves battery. If the power plan is not good enough, you can create your own. 3. Now navigate to “Power & sleep”. 4. 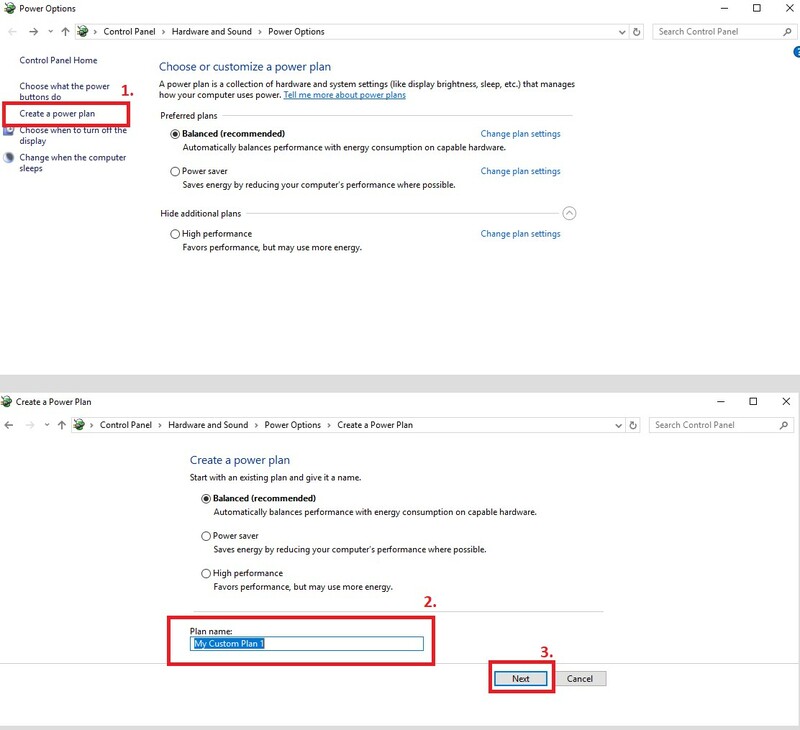 Browse “Additional power settings” in the “Related settings” section. 5. Click a “Power plan”. 1. Go to “Create a power plan” in the left-side pane. 2. Type a “Plan Name” for the power plan followed by clicking “Next”. Under-clocking your processor is a viable approach to save significant amount of power. Depending on your laptop, you can either bring down the Thermal Design Point (TDP) through the Intel Thermal Framework settings, or simply under-clock the CPU via Processor Power Management. TDP provides an estimated measurement of the maximum temperature of your processor while working. 4. Scroll down and click “Additional Power Settings” in the Related Settings section. 5. Select “Change Plan Settings”. 6. Go to “Change advanced power settings”. 7. Click the “+” beside Intel(R) Dynamic Platform and Thermal Framework Settings to expand it. 8. Press “+” beside Config TDP Level to expand this section. 10. Go to the dropdown arrow next to “High TDP”. 3. Go to “Power & Sleep”. 4. Scroll down and choose “Additional Power Settings” in the Related settings section. 5. Go to “Change Plan Settings” next to the power plan. 6. Select “Change Advanced Power Settings”. 7. Click the “+” button of Processor power management to expand this section. 8. Hit the “+” button of Maximum processor state. 10. Adjust the percentage to a level you’d like. 11. Click “Apply” followed by “OK”. To add few extra minutes to your battery life, disable the wireless communication when not in use. Additionally, you can optimize your battery for video playback and ‘reduce the work the app can do’ when in the background.